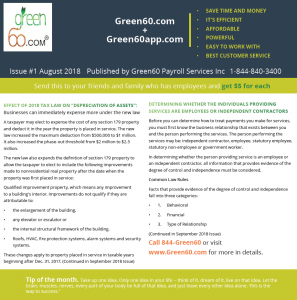 Hi, I am very excited to introduce you to our first “e-Mail NEWSLETTER” (August of 2018) prepared by Green60 Payroll Services Team. This newsletter has important information about the new 2018 tax laws that my affect your business and other information that will benefit you regarding employee and employer relationship. Please forward this “e-Mail NEWSLETTER” to your friends or families who have business with employees. 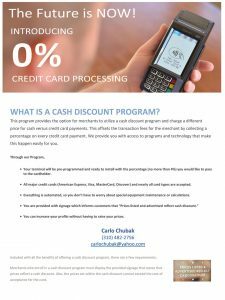 We would also appreciate it if you would share this information as well. For this favor we would be more than happy to send you a $5.00 give certificate. For additional information please call me at 1-844-473-3660 and look forward to exciting information in our September 2018 issue!